We are proud to be your local Fredericksburg Roofing Experts. Chances are we’ve worked at a house on your block, or maybe at a business your shop at. Fredericksburg is our home, and we plan on doing what we do best in Fredericksburg: Providing top-quality roofing services at fair and competitive prices. Being a family owned roofing business Fredericksburg Roofers is one of the leading companies in roofing business in this region. You can get a company that works hard to provide the best residential roofing service in this area when you chose us. Our roofing experts ensure to provide residential roof installation service accurately and in time on the basis of their past experience and expertise. While hiring roofing professionals we focus on their training, past experience, and knowledge regarding this business. We hire well trained and certified roofers to provide the best services to our customers. We provide Fredericksburg residential roofing quotes at a very competitive rate in this region. We can provide your roofing services at a very reasonable price because of our relationship with the suppliers of a wide range of roofing tiles and other materials required for this purpose. At Fredericksburg Roofers, we also have a reputation of an honest residential roofing service in this area. If your roof can be made workable just by making a few repairs then we never insist on replacing it. We always keep affordability of our clients in our mind while inspecting their roofs and offering free quotes in this regard. On the other hand, we never misguide our customers. 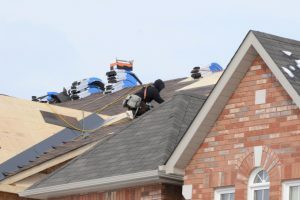 If their roof needs minor replacement then we suggest then to replace it as soon as possible as it can damage any time due to storms in the winter season. Our roofing experts are also known to provide emergency residential roof installation and repair service in this region. They can install all types of roofs including wood, tiles or metal to complete their task within your budget. You may not find this kind of flexibility in other roofing companies found in this area. We have qualified inspectors to inspect your roof honestly and fairly when you contact us for Fredericksburg residential roofing repair or installation services in Fredericksburg, Virginia. They will provide you a clear-cut report about the condition of your roof so that you can make the right decision. It is not necessary that your roof needs replacement. They can suggest repairing it if it can serve for at least one winter season after a few repairs. So, if you are searching for residential roofing service in Fredericksburg then you can call at (540) 412-7332 to get free quotes for all of your roof related needs.